Gawlik was one of over 7,500 people who joined an 8-kilometre-long human chain at the weekend linking the German village of Kerkwitz with the Polish village of Grabice to oppose plans to expand lignite mining on both sides of the German-Polish border. They were inhabitants of local villages whose houses would be destroyed if the plans go ahead, activists from Poland and Germany, and even visitors from other countries who wanted to lend a hand to the anti-coal cause. The human chain – which was organised by Greenpeace and other European environmental NGOs – passed through the Niesse river which marks the border between the two countries, and included people of all ages, from young children to local elders who brought along folding chairs. At least 6,000 people in the German part of Lusatia region and another 3,000 across the border in south-western Poland stand to be relocated if the expansion plans in the two areas go ahead. In Germany, it is Swedish state energy giant Vattenfall that plans to expand two of its lignite mines in the German states of Brandenburg and Saxony; state authorities have already approved the company’s plans. In Poland, state energy company PGE (Polska Grupa Energetyczna) plans an open-cast lignite mine from which it would extract almost two million tonnes of coal per year (more than from the German side). Germany has for a long time been perceived as an example in terms of its energy policy, not in the least because of its famous Energiewende, a strategy to decarbonise Germany’s economy by reducing greenhouse gas emissions by 80-95 percent, reaching a 60 percent renewables share in the energy sector, and increasing energy efficiency by 50 percent, all by 2050. 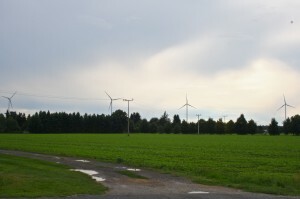 Today, one-quarter of energy in Germany is produced from renewable sources, and the same for electricity, as a result of policies included in the Energiewende strategy. Expanding coal mining as would happen in the Lusatia region contradicts Germany’s targets, argue environmentalists. “The expansion of lignite mines and the goals of the Energiewende to decarbonise Germany until 2050 do not fit together at all,” says Gregor Kessler from Greenpeace Germany. “There have to be severe cuts in coal-burning if Germany wants to reach its own 2020 climate goal (reducing CO2 emissions by 40 percent). Proschim, a town of around 360 people, is one of the villages threatened by Vattenfall’s planned expansion. Already surrounded by lignite mines, this little community has one feature that makes its possible destruction even more controversial: nowadays it produces more electricity from renewable energy than its citizens use for themselves. 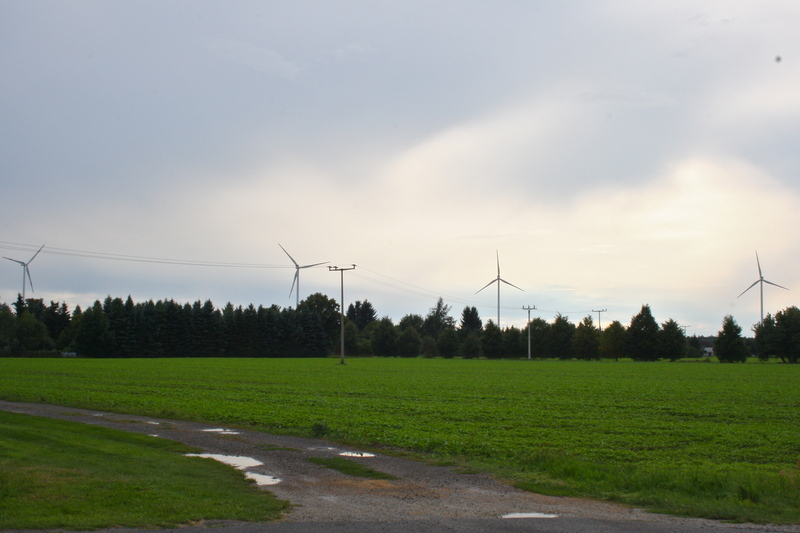 But Vattenfall’s project to extend two existing open cast mines, namely Nochten and Welzow-Süd, would destroy Proschim along with its solar and wind farm and its biogas plant. “It is such a paradox, we have so much renewable energy from wind, solar and biogas in Proschim. 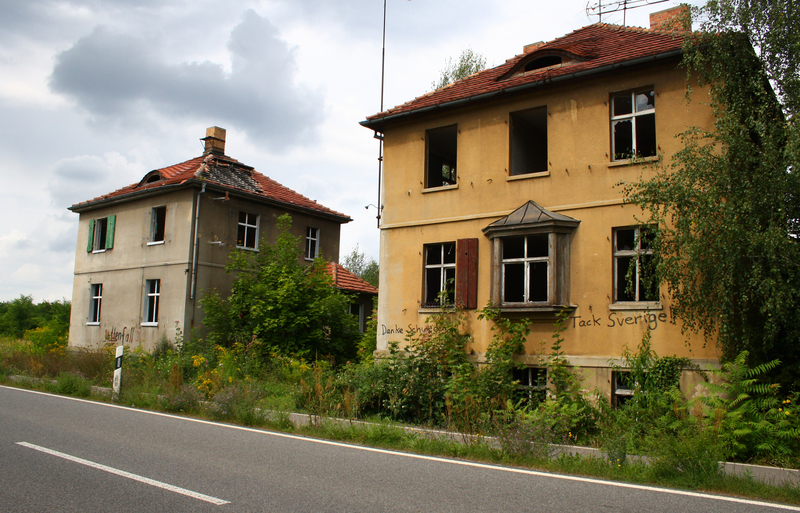 And this is the town they want to bulldoze,” says former Proschim mayor Erhard Lehmann. 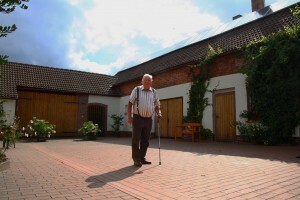 The village is nevertheless split on the issue, with half of its citizens welcoming Vattenfall’s expansion project, including Volker Glaubitz, the deputy mayor of Proschim, and his wife Ingrid, who came from Haidemühl, a neighbouring village that was evacuated to make room for the Welzow-Süd open-cast mine. The place is now known as the “ghost-town”, due to the abandoned buildings that Vattenfall was not allowed to tear down because of property-related controversies. Lignite undoubtedly played a major role in Lusatia’s economic development, creating jobs not only in the many open-cast mines spread over the territory, but also through the satellite activities connected to coal processing. Lehmann himself was employed as a mechanic and electrician for the excavators used in the mines. Ingrid Glaubitz was a machinist at ‘Schwarze Pumpe’, one of Vattenfall’s power plants and her son also works for Vattenfall. His house, right in front of the Glaubitz’s, is covered in solar panels, and from his garden he proudly shows the wind park that provides Proschim with an estimated annual production of 5 GWh. Poland is Europe’s black sheep when it comes to climate, with 90 percent of electricity in Poland currently produced from coal and the country’s national energy strategy envisaging a core role for coal for decades to come. The Polish government led by Prime Minister Donald Tusk has over the past years tried to block progress by the European Union in adopting more ambitious climate targets. For Polish authorities, the over 100,000 jobs in coal mining in the country today are an argument to keep the sector going. Additionally, says the government, coal constitutes a local reserve that can ensure the country’s “energy security” (a hot topic in Europe, especially since the Ukrainian-Russian crisis). Coal opponents, on the other hand, note that the development of renewables and energy efficiency creates jobs too (according to the United Nations, investments in improved energy efficiency in buildings alone could create up to 3.5 million jobs in the European Union and the United States). Environmentalists further argue that coal is not as cheap as its proponents claim: according to the Warsaw Institute for Economic Studies, in some years, subsidies for coal mining in Poland have reached as much as 2 percent of GDP. In Europe as a whole, coal has seen a minor resurgence over the past 2-3 years, despite the European Union having the stated goal to decarbonise by 2050 (out of all fossil fuels, lignite produces the most CO2 per unit of energy produced). Access to cheap coal exports from the United States, relatively high gas prices, plus a low carbon price on the EU’s internal emissions trading market (caused in turn by a decrease in industrial output following the economic crisis) led to a temporary hike in coal usage. Yet experts are certain that coal in Europe is dying a slow death. “Additional coal mines would not only be catastrophic for people, nature and climate – it would also be highly tragic, as beyond 2030, when existing coal mines will be exhausted, renewable energies will have made coal redundant,” says Anike Peters, climate and energy campaigner at Greenpeace Germany.